measurements. 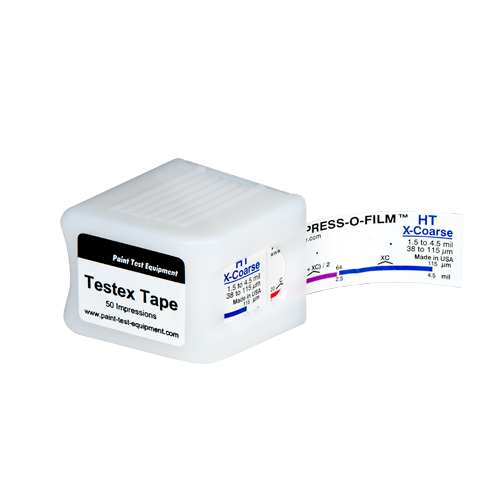 Testex Tape makes surface replicas easy to obtain and produces average maximum peak-to-valley readings that ensure optimum blasting effectiveness. Replicas can also be retained for future needs. 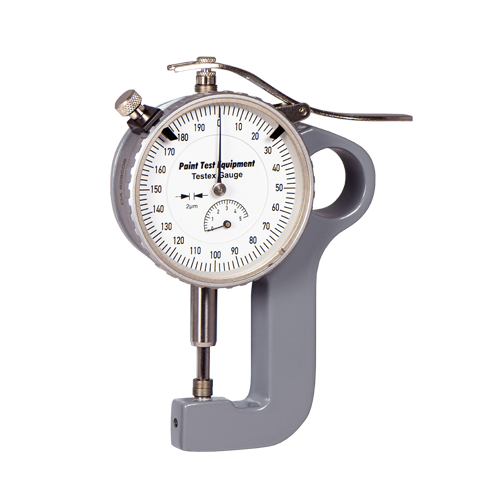 The Testex Gauge is used to measure the Testex Tape replica and determine the average maximum peak-to-valley height of the blasted profile. Measurements are made by firstly zeroing the gauge on –50μm (-2mils) to allow for the film backing. Place the replicated area between the anvils and gently lower the moveable anvil onto the film. The reading can now be taken, giving you the average peak-to-valley height of the blasted profile.